New on the scene, sintered stone is quickly becoming a hit with designers and homeowners alike. How is a sintered slab made? 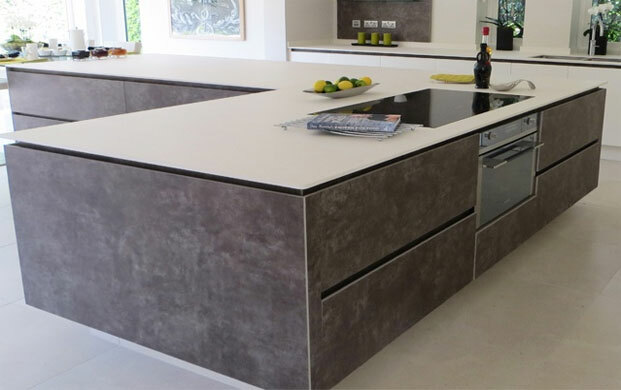 Sintered slab is manufactured using recent technological advancements which mimic the processes which form natural stone. While natural stones like marble and granite are formed over thousands of years, sintered slabs take just a few hours. Minerals and stone particles like the ones found in porcelain or granite are carefully selected for quality, colour and texture. These particles are then subject to extreme heat and pressure – just like they would be deep in the earth’s crust where granite is formed. When the process is finished, the particles are bonded together permanently, without the need for resins or bonding agents.